As the nine-day long Montreal Protocol takes place in Vienna, the need for alternatives to the super-warming hydro fluorocarbons (HFC) has emerged as a crucial one. An amendment to the HFC phase-down by will be finalized by October. This is because the leading alternative in the mobile air-conditioning (MAC) sector - hydrofluoroolefin-1234yf has been marred by intellectual property rights (IPR) and environmental issues. A closer look at the other alternatives available shows they require more research and also that changes in automobile manufacturing platforms may not be feasible. Thus, developing countries should use the flexibility being discussed as part of the amendment negotiations to guard against an unfunded transition like in the chlorofluorocarbon phase-out in 1999, recommends Delhi-based Centre for Science and Environment. This could also delay the transition until non-patented and environmentally safe alternatives are available. Developed by global chemical giants Du-Pont Chemicals and Honeywell International, HFO 1234yf first came to the fore in 2006 when the European Union issued a directive mandating automobile manufacturers to use refrigerants with Global Warming Potential (GWP) lower than 150 in all automobiles by 2011. Though favored for its low GWP and near drop-in nature, there were many issues concerning IPR, flammability and environmental impact of its large scale use. Though developed countries have claimed fostering innovation as the basis for strong IPR regimes throughout the world, a patent challenge by Arkema Chemicals shows that the development of 1234yf did not involve any significant research breakthroughs. This implies that Honeywell and Du-Pont saw an opportunity in the directive and the HFC phase down amendment and proceeded to manipulate global IPR laws to their advantage. The emergence of HFO 1234yf as an alternative to HFC 134a led to a number of long-winded patent challenges for broad application patents filed for HFO1234yf in the EU and US. The patent litigations are currently in limbo. Such challenges therefore cannot be relied upon to give a definitive direction on IPR protection for HFO 1234yf by October. The patent challenges have also not affected the IPR ‘ring fencing’ strategy of the global chemical giants, who by 2008-2009 (the HFC phase-down amendment discussions had started by then) had plastered almost all major automobile manufacturing countries with broad and virtually impenetrable patent protection for HFO 1234yf and its blends - thus covering most of the global automobile production. Experts say that this strategy by the highly concentrated automobile industry may lead to a swift global transition to HFO 1234yf without any intervention by the Multilateral Fund. This is exactly what happened during the CFC phase-out. Developing countries like India have been clamoring for a compensation of full conversion costs for a transition to alternatives by the fund. However, an analysis by the Centre for Science and Environment shows that compensating even the traditional incremental costs would be very difficult due to the high costs associated with the manufacture, use and blends of HFO 1234yf. This is largely due to the broad patent protection enjoyed by these refrigerants. An alternative solution is therefore needed. This is because the IPR impediment posed by HFO 1234yf may make consensus difficult and lead to a weak HFC phase-down amendment proposal. This will allow for a larger amount of green house gaseous emissions, exaggerating the impacts of dangerous climate change. In 2011-12, Mercedes-Daimler was in the process of converting its cars from HFC 134a to HFO1234yf. However, during independent tests performed by Mercedes, the new refrigerant showed signs of excessive flammability. It caught fire during a crash test and the formation of hydrofluoric acid – a highly corrosive substance was found. The company then proceeded to replicate these tests to ensure their efficacy. The refrigerant was found to catch fire in two thirds of the tests performed by Mercedes. Other car makers and industry experts however believe that Daimler was being overly cautious in its safety concerns and went ahead with the introduction of HFO refrigerants in their cars. Currently, more than 8 million cars globally use the refrigerant, including cars manufactured by Daimler, which introduced the refrigerant with added safety considerations. The reason HFO-1234yf has low GWP is its unsaturated nature i.e. – a double bond between its two carbon molecules. This double bond is responsible for its unstable nature and helps it breaks down quickly in the atmosphere. This instability however may release harmful by-products, such as Trifluoroacetic Acid (TFA), which have severe impacts on aquatic ecosystems. It is already almost ubiquitous in the global aquatic ecosystems through the breakdown of HFCs like HFC 134a. Studies suggest that the breakdown of HFO 1234yf would produce about 5 times as much TFA as HFC 134a. This in association with other studies that suggest a rapidly rising level of TFA constitutes possible environmental impacts which should be thoroughly studied before HFO-1234yf is widely implemented. A number of companies like Daimler and Volkswagen are currently in the process of introducing mobile air conditioning systems (MAC) that run on CO2. Currently under development, the focus is to improve energy efficiency in high temperature environments. 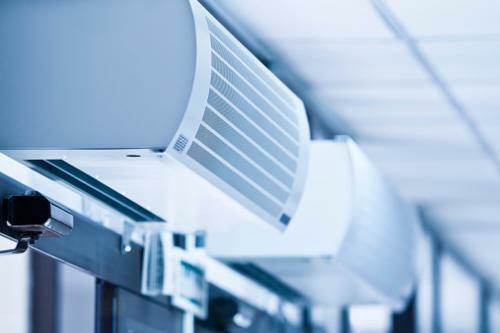 CO2 offers high efficiency below 30 degrees Celsius, but in high temperature conditions, MACs will have lower efficiency as the pressure that CO2 mobile air conditioning systems run at is 10 to15 times higher than traditional systems. The pressure may also affect automobile safety due to increased risk of leakage. Research is ongoing to fix the same. Additionally, a change from HFC-134a to CO2 would require significant changes in the automobile manufacturing platform. Tests have found that HFC 152a may be a competitive alternative to HFO-1234yf in terms of price and energy consumption. However, the use of HFC 152 necessitates a secondary loop, which requires significant changes to the automobile manufacturing platforms. This has not been fully tested at a large scale. Option A: MLF will pay for the switchover to HFO 1234yf in developing countries, even if a developing country decides to prioritize MAC as the first sector. Option B: MLF will negotiate with the patent holders to make their process, equipment and application patent freely available to all. Until these negotiations are complete, MLF continues to pay for the switchover. Option C: MLF would not provide any financial assistance for the use/manufacture of HFO 1234yf till the patent expires. This will give an implicit signal to manufacturers in Article 5 (developing) countries to delay the use of HFO 1234yf till patents expire. Option D: The agreed amendment decides not to include MAC sector in the phase-down schedule for 10 years. This time lag may be enough for the broad patents to expire and give time for alternatives to be developed and commercialized. MAC sector is likely to contribute only 10 per cent of HFCs consumption in the developing countries by 2030. This postponement is, therefore, not likely to have a significantly impact on an ambitious phase-down schedule. Whichever option the parties to the protocol decide to choose, it is crucial to clearly define the term 'flexibility'. The parties are in currently in favor of Article 5 countries to have the flexibility to decide on a nationally determined sectoral strategy for a HFC phase-down. The flexibility should give them the option to have a multi-sectoral phase-down plan, which means, in addition to the sectoral proposal, if companies from other sectors also want to phase-down HFCs during the same time period, there should be flexibility to include them as well and also provide the agreed support. If we do not do this, the MAC sector across the developing world would move to HFO 1234yf without MLF paying a single penny for this transition, putting the burden of transition, however high or low, squarely on the consumers of the developing countries, while profiting very few transnational companies. This should be unacceptable to all.